The Division 2, which was released on 15 March 2019, turned out to be one of the most played PC games of recent time. 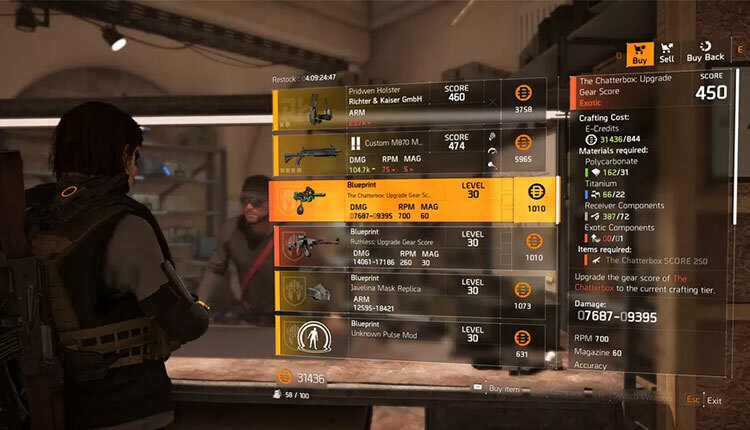 As we have earlier explained to you about seven best weapons in The Division, now we have got to know how to upgrade all Exotics in the game. There are several powerful arsenals of Exotics rifles in the game such as The Chatterbox, Liberty and Merciless but some of them are difficult to come by or take hours of grinding the same mission. In this guide, we will be talking about ways how to update all the Exotics Guns in your arsenal that will increase Exotics to the current maximum Gear Score. You should know that when you enter for the first time in the White House, you will see two vendors in the front hall. You will see Quartermaster in your left, which is responsible for your subclass and skill purchases. You will find a traditional vendor on the other side of the room. Once you unclocked Exotic irrespective of whether you did it with picking it up off the ground or crafting, this vendor’s inventory will change. The vendor will later begin selling an updated blueprint for each Exotics you have won. You will have an option to make its purchase for 1,010 E-credits. Once you acquired the blueprint, you will be ready to kick off crafting again. Once you got the access of blueprint in the game, you will be capable of updating the Exotics you already have. Despite having owned a blueprint, you would not be allowed to create a max level Exotic without a max level crafting level. You will have to find several other methods around the world of The Division 2 to update your table before proceeding further. Once you’ve upgraded your bench, it’s time to jump into the final step. Now, you are just about to get upgraded you Exotics and for that, you should have an assortment of crafting materials, the old version of the Exotic, and an Exotic Component. Notably, finding Exotics Components in The Division 2 is one of the hardest things to do. If you aspire to get one, you need to dismantle an Exotic. When you have all the materials, use the workbench to craft your fully upgraded Exotic. 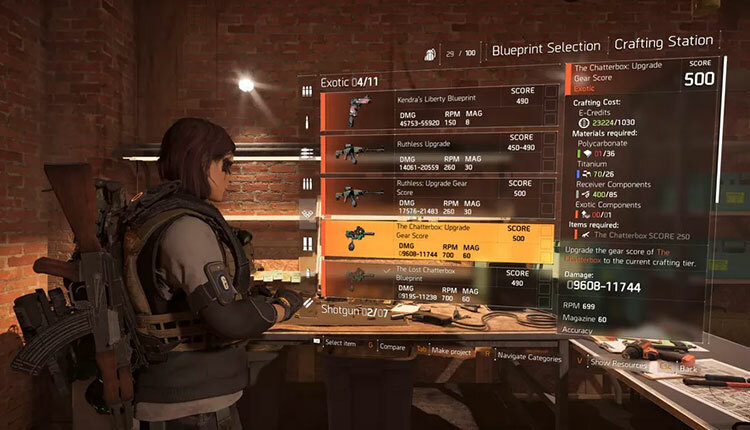 Now, you must have understood how to upgrade your Exotics in The Division 2, be sure to head back over to our The Division 2 guides for more help getting your hands on seven best weapons and how to unlock Stronghold in The Division 2.